The product is currently selling on Mecca. No price comparison can be made as the product is not offered by competing chemist/pharmacy. The current price is $1.00 (5 %) more expensive than previous price of $22.00 recorded on 22 May 2018. The price is $1.00 (5 %) more than the historical cheapest price of $22.00 recorded on 22 May 2018. 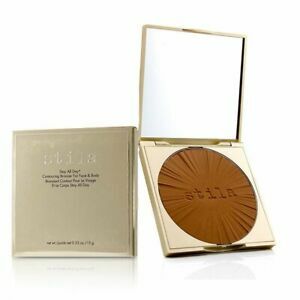 Similar product Stila Stay All Day Contouring Bronzer For Face & Body - #Dark 15g Bronzer can be found at ebay Australia at $33.13.